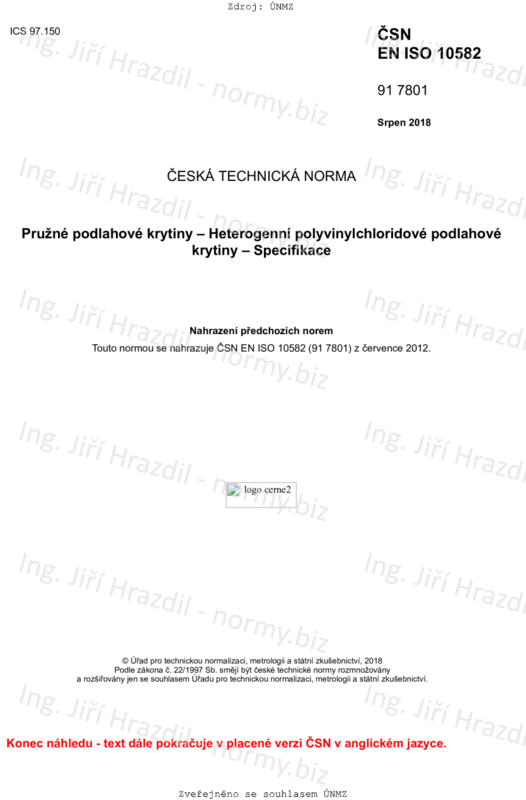 This document specifies the characteristics of non-cushioned, heterogeneous floor coverings, consisting of poly(vinyl chloride) (PVC), supplied in either tile or plank or roll form. Products can contain a transparent, non-PVC factory finish. To encourage the consumer to make an informed choice, this document includes a classification system (see ISO 10874) based on the intensity of use, which shows where these floor coverings give satisfactory service. It also specifies requirements for marking.